Does a New Relationship Affect Alimony in Florida? 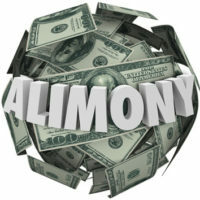 Ultimately, the purpose of alimony is to provide necessary financial support to the receiving spouse. As such, a former spouse’s new relationship can, but will not always, provide good cause to seek the modification of an alimony award. If you can prove that your former partner’s financial needs have changed, alimony modification may be possible. Here, our Clearwater family law team discusses when an alimony award can be modified on the grounds of a new relationship. The most straightforward alimony modification cases involve new marriages. A legal remarriage is the only way for alimony obligations to be terminated automatically. If the receiving spouse enters into a new marriage, then, periodic alimony payments that were owed by their previous spouse will immediately end. In cases of remarriage, a court order is not necessary. Of course, times have changed. In today’s world, many couples enter into relationships that are similar to a marriage, or share some marriage like qualities, yet, they never actually officially tie the knot. In the early 2000s Florida legislators came to believe that this was a serious problem. They thought that many spouses who were owed alimony were intentionally avoiding a legal marriage, despite being in a serious relationship, simply to keep their alimony payments coming in. To counter this, Florida changed the law. Chapter 61 of the Florida statutes was altered to add a new section that allowed paying spouses to seek modification of alimony if their former partner entered a new ‘supportive relationship’. What is a ‘Supportive Relationship’? Most often, a supportive relationship involves cohabitation. 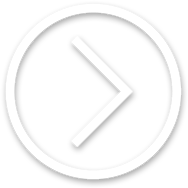 Cohabitation with a romantic partner suggests a supportive relationship. Though, cohabitation is not a necessarily required. You may also be able to establish a supportive relationship if you can prove that assets have been pooled or that major financial obligations are being shared. Additionally, though most alleged ‘supportive relationships’ do involve romantic partners, that does not necessarily have to be the case. A relationship with a friend could potentially qualify as a supportive relationship under Florida law as well. Though, ‘supportive relationships’ with blood relatives are exempt from this statute. In cases that do not involve a re-marriage, proving the existence of a supportive relationship is not by itself sufficient to get your alimony obligations modified. The specific facts of the case still matter. Florida courts have made this very clear when issuing decision regarding these type of disputes. The party paying the alimony still has the burden of proving that their former spouse’s financial needs have actually changed due to the supportive nature of their new relationship. At the Law Office of Gale H. Moore P.A., our Clearwater alimony attorney has extensive experience handling modification claims. To learn more about what we can do in your case, please do not hesitate to reach out to our office today (772) 584-2528. Our firm is located in Largo, and we serve clients throughout the region, including in Safety Harbor, Saint Petersburg and Crystal Beach.